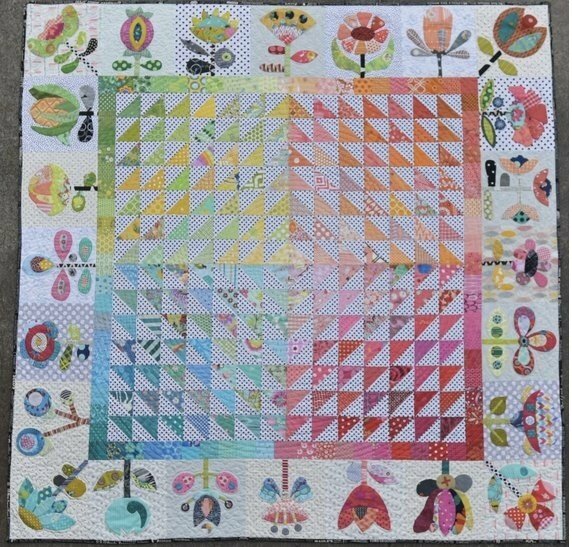 Block of the month for 2019 - Applique and piecing. Jenn Kingwell pattern that can be done with hand applique or machine. Approximate size is 60" X 60". Fee includes pattern, all fabrics and instruction. Meadow was made over the Spring and Summer, and the colors of the quilt reflect the vibrancy of those seasons. The 24 different flower applique blocks are perfect for this project, or where ever the maker’s imagination takes them.